A date has now been set for the Radley Lakes Judicial Review to be heard in the High Court. 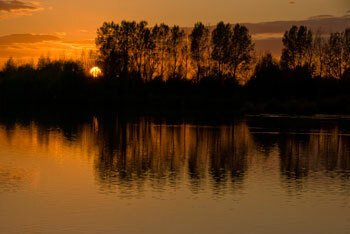 In April 2008, Radley Parish Council launched a Judicial Review of Oxfordshire County Council’s decision not to grant Town Green status to land around Thrupp and Bullfield Lakes, The “Radley Lakes” (See News Story), the lakes threatened with being used as a dump for fuel ash from Didcot Power Station. Following representations by barristers on both sides, the High Court hearing, at which it will be decided whether to grant leave for the Judicial Review and, if so, to determine the matter, is scheduled to be held in the Administrative Court on 26-27 February 2009. Nearby, another Town Green application seems to have had greater initial success. Mr Vivian Chapman QC, who presided over the Radley Lakes Public Inquiry, and recommended against the Lakes becoming a Town Green, has recently recommended that Oxfordshire County Council should designate Oxford’s Warneford Meadow a Town Green. The course of events has been somewhat altered by the events of of 17 December 2008. As a result, all the interested parties have now agreed to an adjournment of proceedings, pending discussions, and the court has delisted the scheduled hearing. The matter will not now be heard on 26/27 February. As a result of RWE nbpower’s decision not to dump ash into Thrupp Lake and instead to turn it into a wildlife haven, for the community, the Parish Council withdrew its claim for Judicial Review.